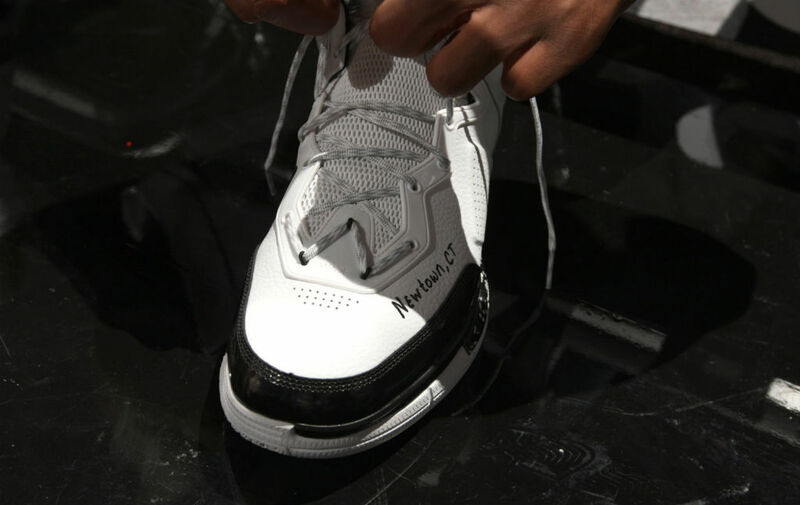 The three All-Stars send messages to the victims of the Sandy Hook tragedy. 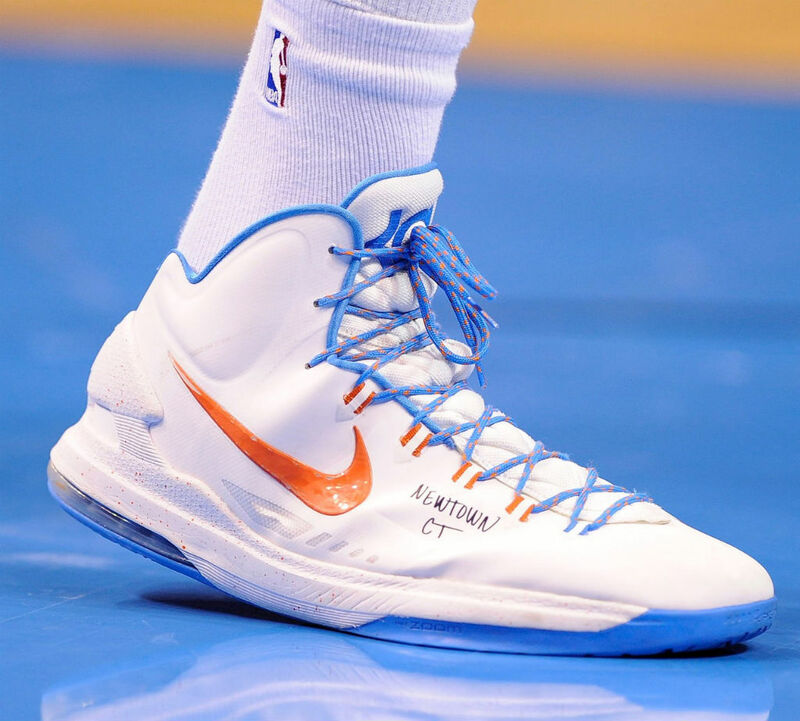 By now, you know the details of the unthinkable tragedy that took place in Newtown, Connecticut's Sandy Hook Elementary School this past Friday. The massacre claimed the lives of 26 people, 20 of which were children between the ages of 6 and 7. 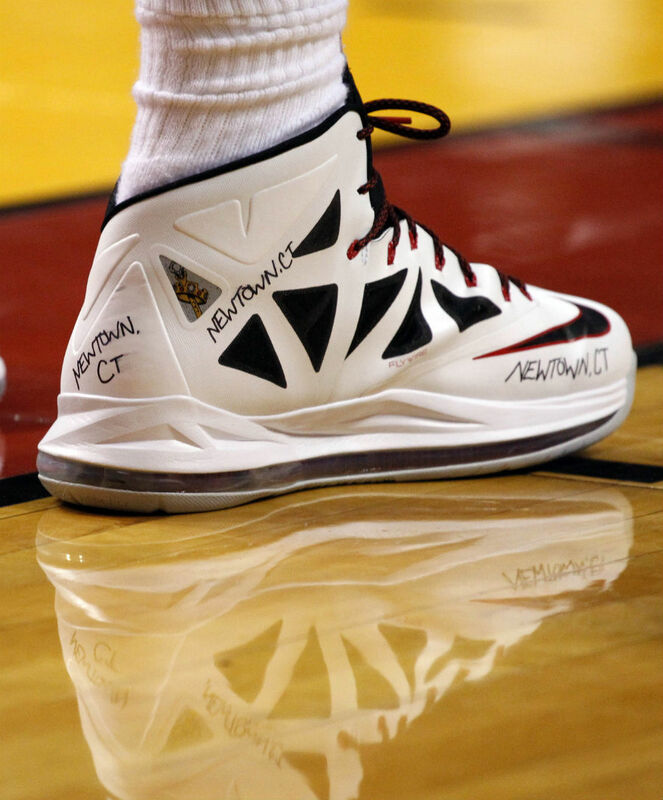 We here at Sole Collector send our deepest and most sincere condolences to the families that have been affected by this heinous act. 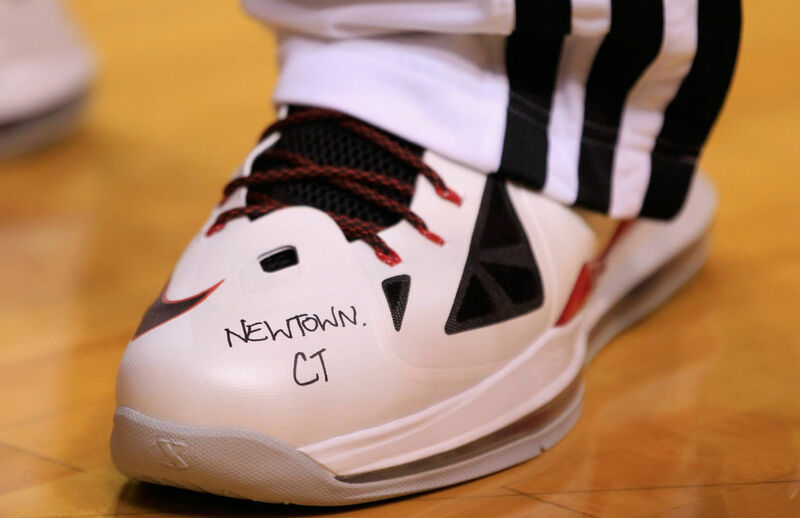 Keeping Sandy Hook in their thoughts are NBA All-Stars LeBron James, Dwyane Wade and Kevin Durant, who each sharpied "Newtown, CT" on their game shoes over the weekend. 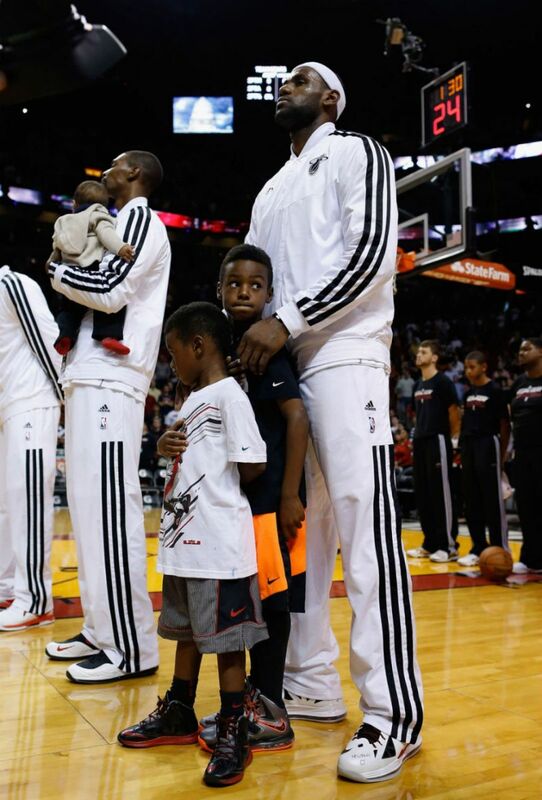 Teams across the league also observed a moment of silence prior to tip-off. 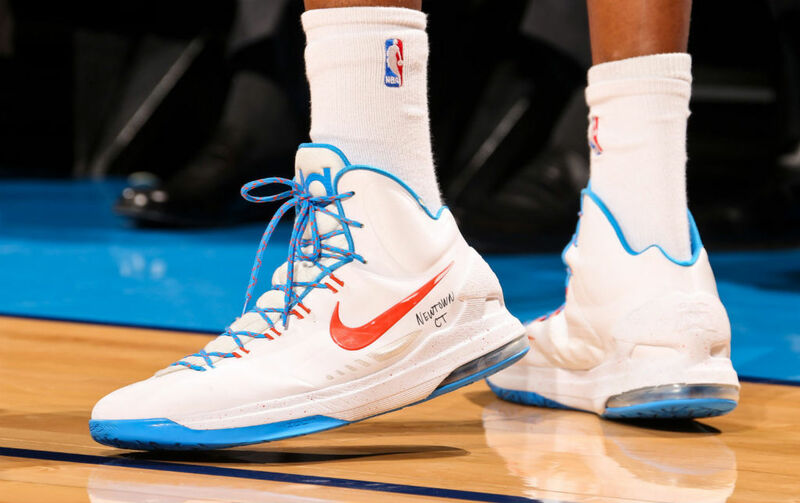 Read on for a look at the messages written on LeBron James' Nike LeBron X, Dwayne Wade's Li-Ning Wade of Wade and Kevin Durant's Nike KD V.
Rest In Peace all Sandy Hook victims.